Planning to load up on apples while they're in season? 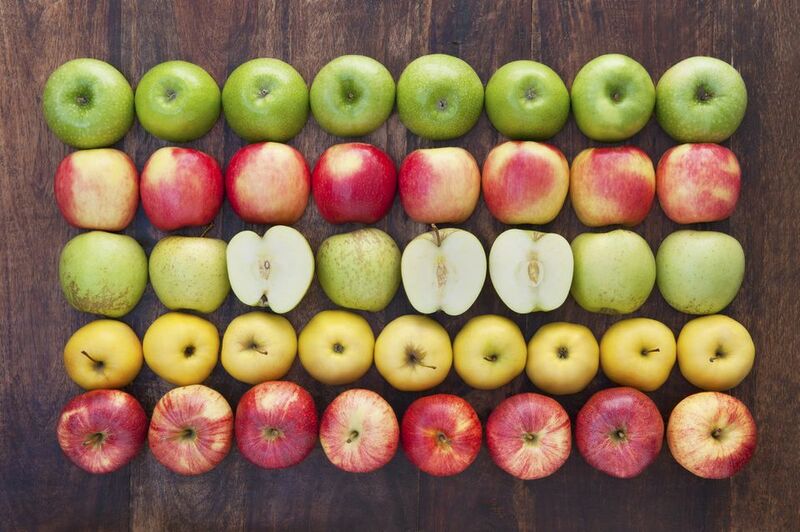 Here's a list of the best apples for eating fresh. All of these varieties are juicy, flavorful, and crisp. You'll often see sweet apples paired with sharp cheeses on appetizer platters. If you like a sweet-sour flavor, see how you like these apples. Many of the apples that you find at the grocery store, including Red Delicious, have been bred to look good and ship well—taste is a mere afterthought. So, if you want a flavorful apple, seek out heirloom varieties. The suggestions in the previous sections are just starting points. Visit a local farm or farmers market to discover varieties that never make it to the grocery store—varieties that are truly worth getting excited about. If you happen upon a variety that you really love, consider planting a few in your backyard. It takes a few years for an apple tree to start producing, but after that, you'll be set. Many apple varieties will stay fresh for months if you store them in the refrigerator or in a cool room, so it's definitely worth stocking up if you find a good deal on an apple that you enjoy. As a general rule, late-season (harvested in October or November), thick-skinned, tart apples store best. Ask a farmer to recommend a variety or select apples that will stay good all winter. You'll be glad you did when you're still eating tasty apples in January. Planning to make a bunch of applesauce or apple butter while apples are in season? You'll want different apples for that. Various varieties are better suited for specific purposes. While you're busy loading up on apples to eat, be sure to pick some up for use in recipes, such as apple nachos, apple pancakes and donuts, and even apple crisps. And if cold days are approaching, learn how easy it is to make applesauce, which will satisfy your sweet tooth—and keep you smelling the sweet fragrance of apples—all winter.